How to Select a Home Inspector – This Is Where Awesomeness Happens! Odds are, the home inspection is what discovered this potential problem. When you decide to hire an inspector there are many factors to consider. If you have ever tried to chose one you no doubt discovered there are more inspectors than you ever imagined, but like REALTORS®, they are not all equally good choices. As always, recommendations from people you trust are a good place to start. If you have used the services of a REALTOR® to find your home, they should be able to provide you with at least 3 inspectors that they have worked with and found to be thorough and professional. Also, ask friends who have recently bought. They will likely have used a home inspector and know whether they did a good job. The most important thing to keep in mind is that price is not a good way to make your choice. You are spending hundreds of thousands of dollars to buy the home you plan to live in, perhaps raise your family in – don’t cut corners on the service that should provide you with piece of mind that you have bought a home, not a money pit of problems. 1) Will the inspection meet recognized standards? 2) Does the inspector belong to a professional home inspector association? 3) How experienced are they? Ask how long they have been in the profession and how many inspections they have completed. They should provide customer referrals on request. New inspectors should describe their training and let you know whether they plan to work with a more experienced partner. 4) How do they keep their expertise up to date? Their commitment to continuing education is a good measure of their professionalism and service. 5) Do they focus on residential inspections? Make sure the inspector has training and experience in the unique discipline of home inspection, which is very different from inspecting commercial buildings or construction sites. 6) Do they offer to do repairs? 7) How long will the inspection take? On average, an inspector working alone inspects a typical single family home in two to three hours; anything significantly less may not be thorough. 8) What’s the cost? Costs can vary dramatically, depending the size and age of house and the scope of services. Customers with large homes can expect to pay more. Customers should be wary of deals that seem too good to be true. 9) What type of report do they provide? Ask to see samples to determine whether you will understand the inspector’s reporting style. Also ask when you will receive the report. 10)Will you be able to attend the inspection? The answer should be yes. 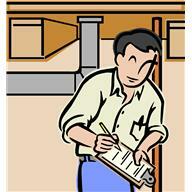 A home inspection is a valuable educational opportunity for the buyer. An inspector’s refusal to let you attend should raise a red flag. One other thing to keep in mind when you are buying a resale home is that it is not new! That may seem like an unnecessary comment to make, but many buyers after a home inspection are surprised to find there are maintenance items and sometimes small repairs that need to be made. You must keep in mind that homes always have little things that need done. As they say “don’t sweat the small stuff”. If you have an experience you would like to share, or any further advice, I invite you to comment. A very informative and useful article for buyers, sellers and owners alike. Like you have mentioned – getting a home inspection is very vital but also a detailed home inspection will reveal the minutest of details in the home inspection report. It is therefore imperative to learn more about the home inspection company that you would want to go with. Previous Previous post: Choosing your mortgage provider – It’s not that easy!